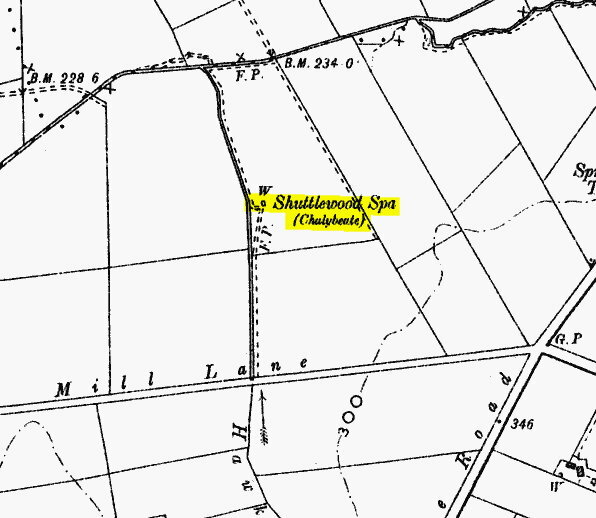 A thermal and Chalybeate spa with an open bath existed at SK 469 742. Stanfrey in NW in Bolsover sulpureous. An open bath, by the zig-zag imestone fault. Farey writing about 1800. 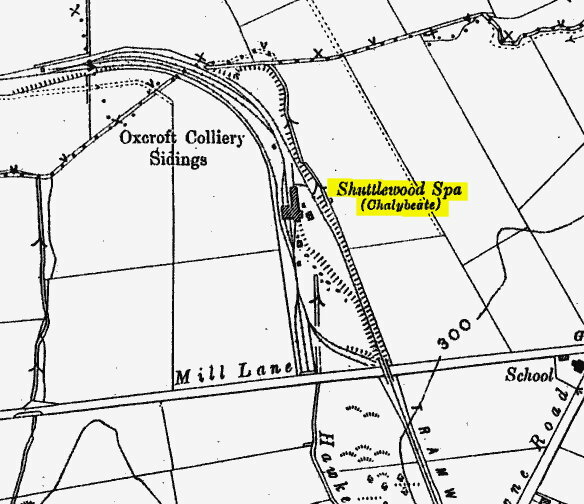 The spa was used for skin complaints due to the mineral content, it was possibly removed when long out of use by the Oxcroft No.5. Colliery sidings construction. CHALYBEATE. Water or other liquid containing iron. CHALYBITE. Native iron protocarbonate, or siderite. The material mined as ironstone between the coal seams to smelt and produce iron ore.